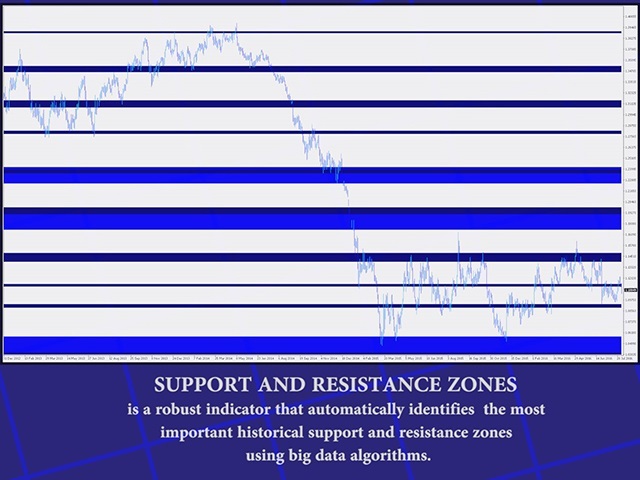 Support and Resistance Zones is a robust indicator that automatically identifies the most important historical support and resistance zones using big data algorithms. 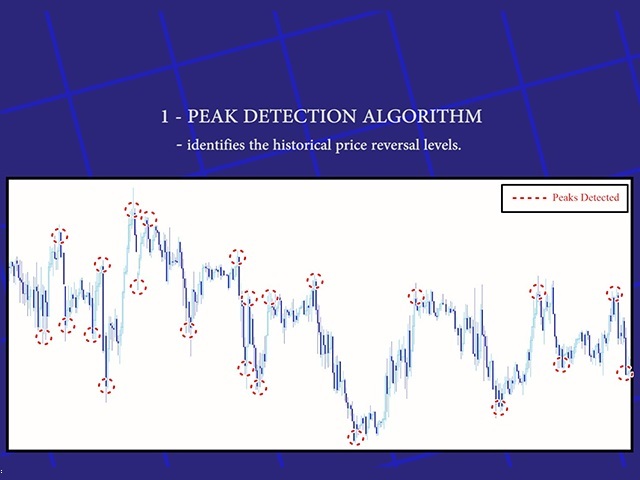 Peak detection algorithm – that identify the historical price reversal levels. 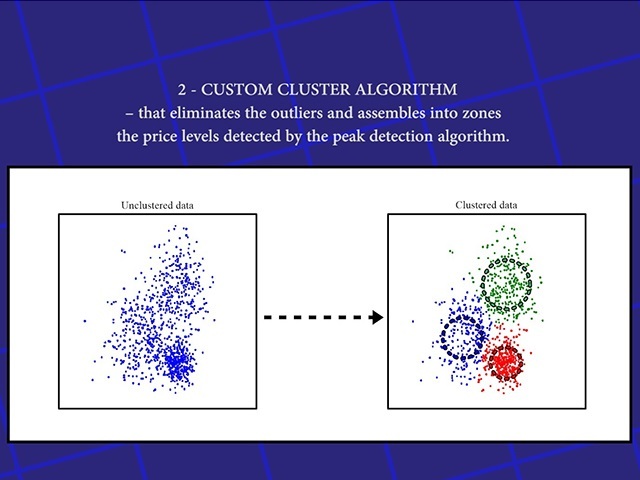 Custom cluster algorithm – that eliminate the outliers and assembles into zones the price levels detected by the peak detection algorithm. 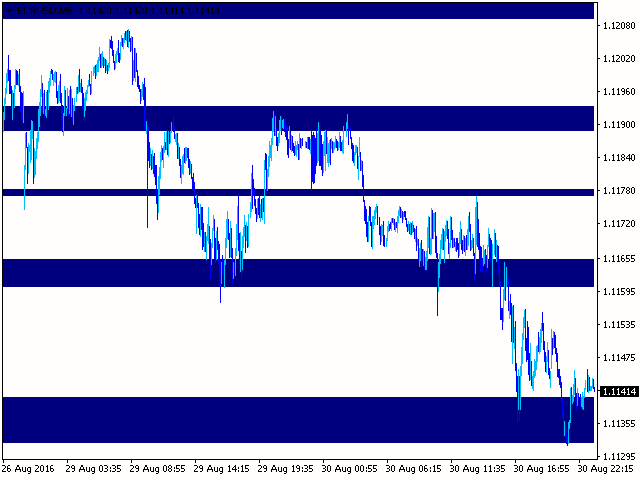 Zones Color – is going to determine the color of the support and resistance zones. History Bar – controls the numbers of historical prices that the indicator will use to compute the support and resistance zones. You can increase the number of bars to take more advantage of the history, or you can reduce it to only take advantage only of recent data. 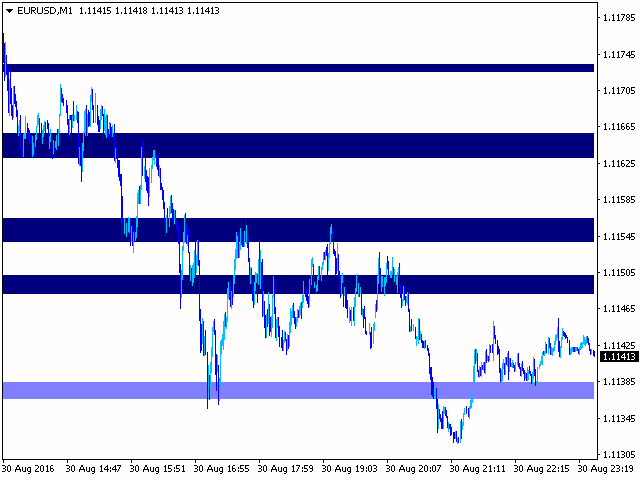 TimeFrame – this parameter is going to determine the timeframe of the indicator. 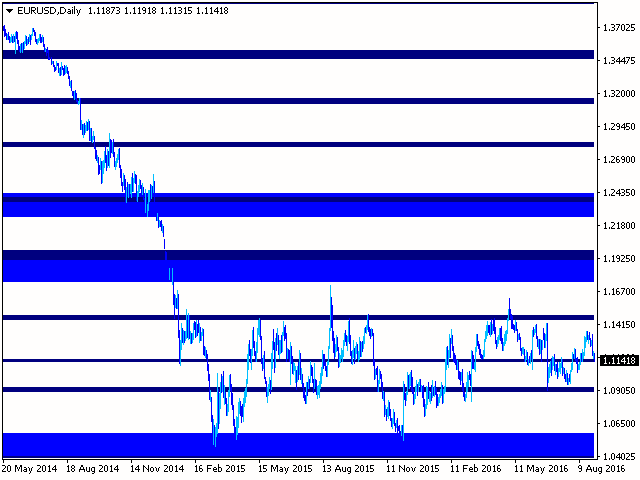 The default value is Current_chart, which means that the indicator timeframe is the same as the chart. SnapToPricePercentage - with this parameter you can control the snap to price neighborhood distance. Snap To Price State – is a feature that is going to keep the chart relatively clean. By activating this feature, you are going to see on the chart only the support and resistance zones that exist in the neighborhood of the last traded price. You can also control the neighborhood distance by changing the Snap To Price Percentage parameter. Zones Power Display – this parameter controls the display of the statistical power for every support and resistance zone identified by the indicator. S&R Power Split Display – this parameter controls the display of the statistical split ratio between support and resistance for every zone detected by the indicator. Title Display – controls the display of the main tile with details about the number of bars imported from the database. Title/Power Text Color – this parameter controls the text color for the Title, Power Zones and S&R Power Split. Title/Power Background Color - this parameter controls the background color for the Title, Power Zones and S&R Power Split. 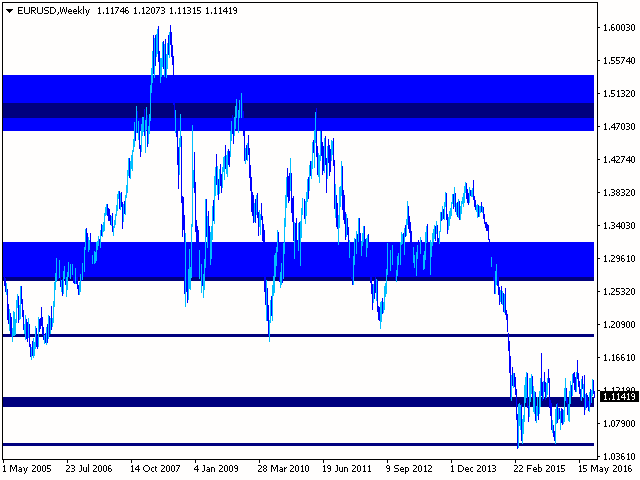 So far i am very pleased with the indicator and the support. I use this one mainly for entry confirmation and for take profit and the MTF possibility is a very nice feature! I have both indicators of this author and they are both great in helping you to earn some green pips. :) Thank you Mihai-Andrei for creating this! Added weights on points given their level of strengths. Updated the description of the product. Added the specification of the algo in the about section. 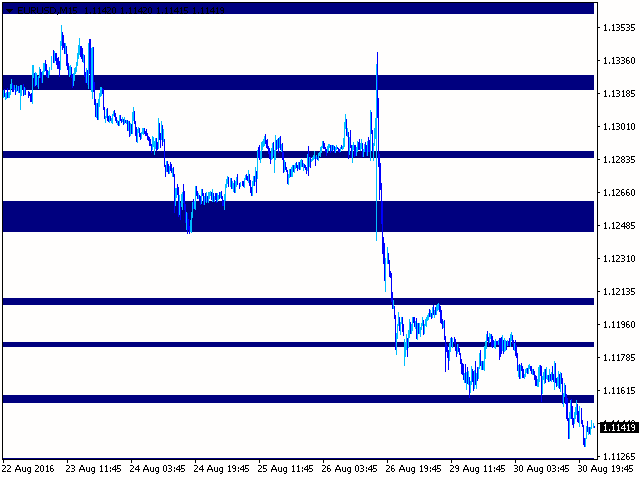 Improved the performance of the indicator and the quality of the support and resistance zones. 2. Added the possibility to control the history interval through the parameter "History Bars". I just added a new feature that changes the color of the support and resistance zones to a lighter color if they are weak zones. Also, I changed some parameters.